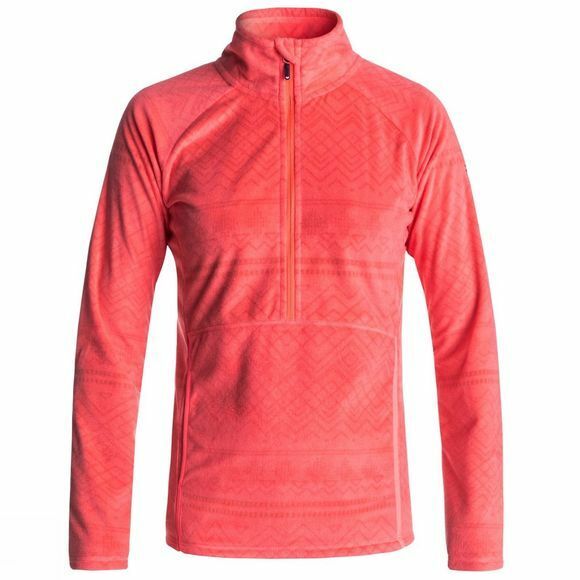 Half-zip polar fleece snow layer for women with extra-soft printed or embossed fleece and WarmFlight® wicking technology to keep you warm and dry. ROXY has been empowering female pioneers since 1990. The first and only exclusively-female global action sports brand, ROXY specializes in the development and design of trend-leading, technically innovative lifestyle and performance wear inspired by the mountain and the wave. By creating first-of-its-kind products designed for surfing, winter sports, fitness and yoga and cultivating a breed of female pioneers who changed the course of sport, ROXY has empowered all women to challenge the status quo in every arena of their lives.